Gift cards make great gifts: perfect for Birthdays, Anniversaries, Christmas, Mother’s Day, Father’s Day, and more! We can load your card with any denomination, and they never expire. With so many choices, often the best part of this thoughtful gift is letting the recipient spend time at the garden centre picking something special out! 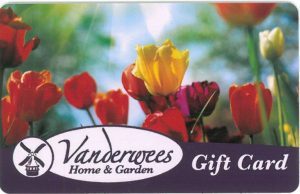 You can order giftcards over the phone: call us at 807-767-3666 and we will be happy arrange it for you!